yep same here it's odd but being away from it i find it more scary than when I was living back home. Your journey to gammon is nearing completion. just the pineapple ring to go on top and I'm done. thanks. But TS is right there was a serious incident in the local shop a few years back and while it was shocking it didn't have the effect on me that seeing the news does now living away from london it's odd. I bought one recently too..I was warned that it wouldn't really work on knifes sharpened to a European angle. Interesting to hear that it does work! 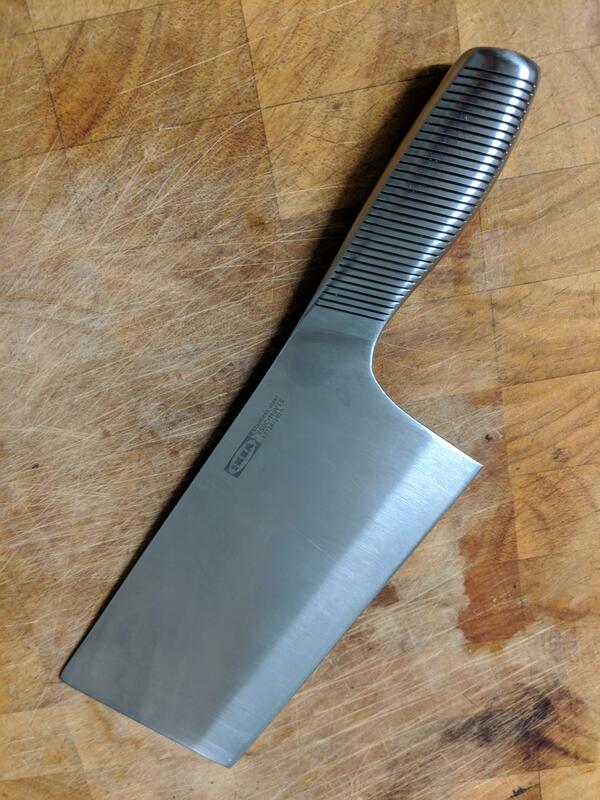 My partner just had this arrive... it is very snugly held in the sheath and very sharp, a recipe for accidents! 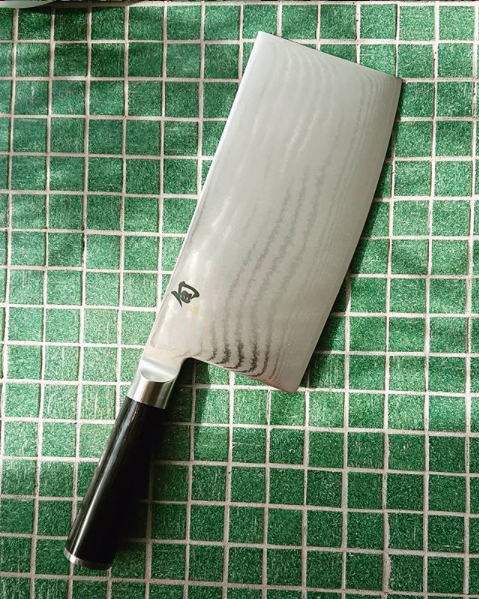 Bought this beautiful Shun DM0712 Chinese cleaver for my fiancée as a present for opening her first restaurant. It's absolutely gorgeous, 32 layers of Damascus. Really inspiring me to learn how to make my own! Picked up a Hultafors chisel knife for some general DIY/Garden usage - it's a chunky bit of kit. 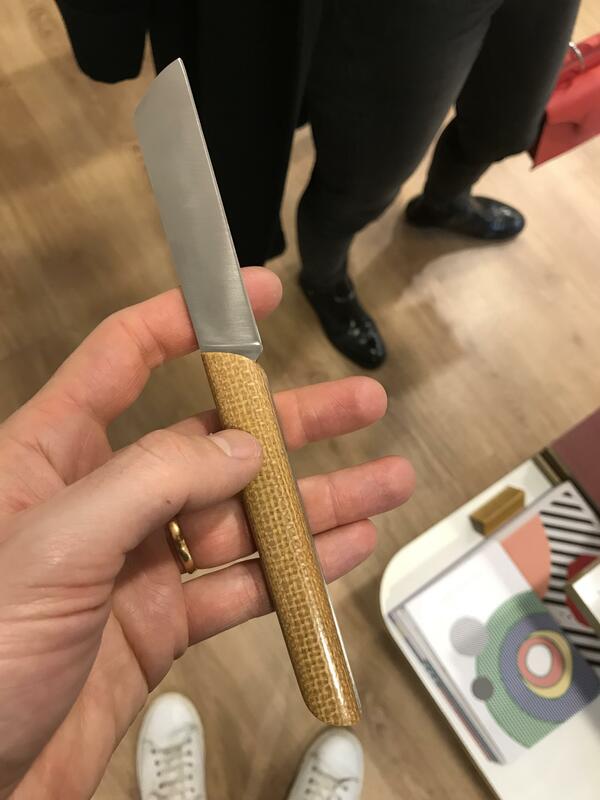 Looking at knives on a trip to France. Classic. If it hadn't been sharpened that well. But, if it's a fundamentally soft steel or hasn't been properly hardened then it will never keep its edge for long. 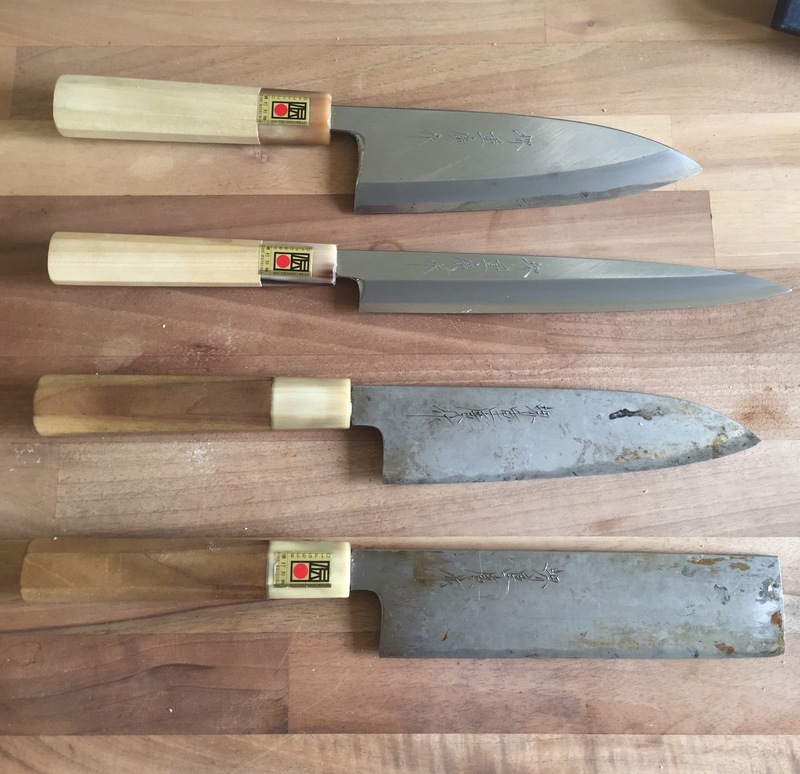 In which case if you do a good job of sharpening, then regularly give it a few strokes on a steel it should be fine. 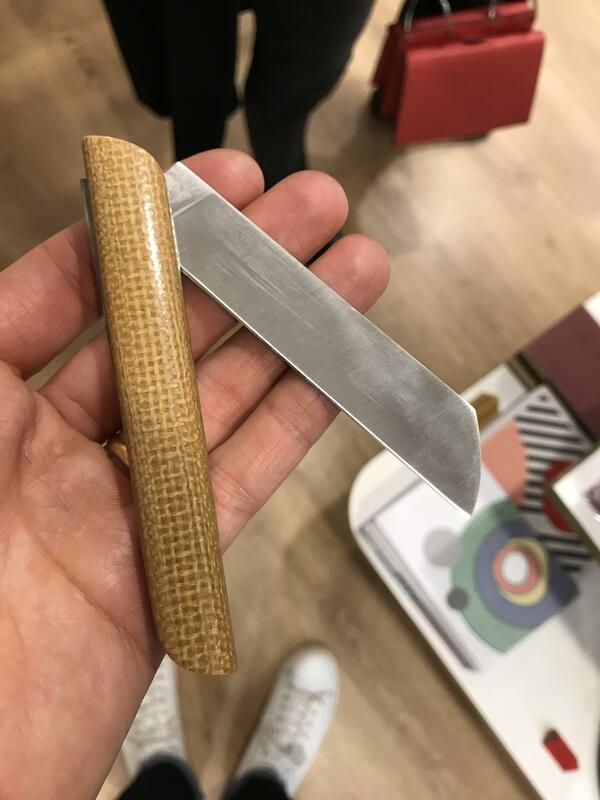 I’d like to buy a decent (but not handmade etc) bread knife or set containing a bread knife, can anyone reccomend some good brands to look at? That's very nice. Who made it? Didn’t even check I’m afraid. I was just drawn to the perfect lines when it was open. Looked a bit clumsy when closed though. Must be a bit good as it was €220, though weirdly for sale in a shop verging on Kath Kidson.